It’s hard to imagine anybody improving on good old Tigris & Euphrates. At over twenty years old it still remains a monument of our hobby, a surprisingly fluid combination of setting and systems, simple enough to learn, incredibly difficult to master. Yellow & Yangtze is Reiner Knizia’s attempt at besting his own classic. What’s there to change? A whole lot, it turns out. And much of it has to do with that staple of Tigris & Euphrates strategy, the monument. Want to know the best thing about all these Reiner Knizia reprints? It’s that somebody else is doing the hard work of curating the good doctor’s 500+ games. Rather than picking through every last trifle, experiment, and flub, they’re all being sorted for the brightest, smartest, and most fulfilling of Knizia’s catalog. The latest in this spree of curated Knizias — remade with gorgeous art by Osprey Games — is High Society. And much like its namesake, it’s elite, holier-than-thou, and oh so catty. In the inaugural episode of the Space-Biff! Space-Cast!, what do Homeland: The Game and Reiner Knizia’s classic Tigris & Euphrates have in common? Listen as Dan Thurot, Rob Cramer, and special guest Mark Henderson attempt to stretch these games like taffy in order to find out. Special thanks to Michael Barnes for changing the conversation about theme and setting. I’d open with a historical anecdote, but unfortunately my knowledge of pre-20th century Japan basically boils down to the Total War series and that one time I read the first quarter of James Clavell’s Shōgun. 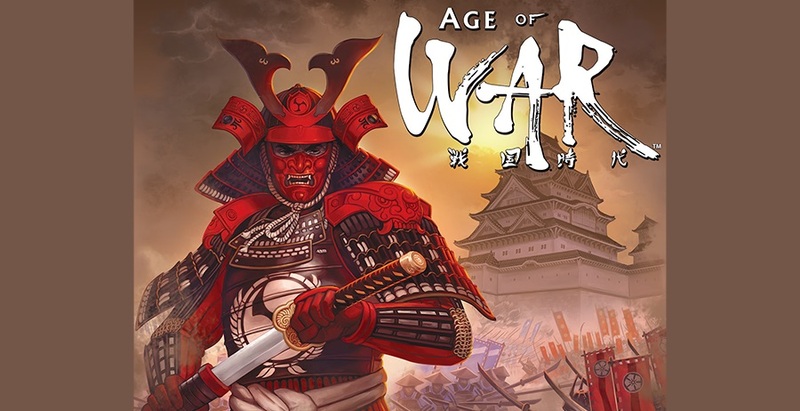 Instead, I’ll point out that Samurai is another classic title from Reiner Knizia, along with Blue Moon Legends and Tigris & Euphrates, that has been given new life by Fantasy Flight Games. And much like those others, Samurai is so much more than it first appears. Ohmygoodness. Guess I’ll have to do a real review after all. It’s become more popular to bag on Reiner Knizia over the last couple years, to the point that it’s increasingly easy to forget that he has some pretty amazing designs floating around. Case in point: Blue Moon, Knizia’s take on the collectible card game that turned out completely unlike any CCG before or since. It wasn’t even a real CCG! Psych! Now Fantasy Flight Games has taken Blue Moon and all its expansions — just shy of a whopping 350 unique cards — and released the entire thing in a single box. It’s a lot to take in. So much, in fact, that I went through four major emotional stages as I tried to get a handle on why so many people have fond memories of Blue Moon.